Looking to learn Spanish from a native speaker? Want to build relationships and learn about different cultures? Interested in using your time and money for good? Then consider taking Skype Spanish lessons… affordable ($12/hr), flexible (whenever you want during the work week) and fun! For more details…read below! 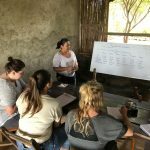 Unearth the World’s partner in Nicaragua – La Mariposa Spanish School & Eco-hotel – has ramped up their Skype Spanish lessons program in order to respond to increasing demand during this challenging time within Nicaragua. 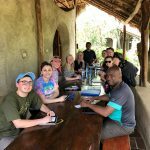 What is La Mariposa Eco-hotel & Spanish School? La Mariposa is a socially and environmentally dedicated enterprise, based on the principles of fair share and social/economic justice, caring for people, the earth and animals. They stimulate the local economy, bring responsible tourism, jobs, and sustained income into the community. All of their revenue is used to employ over 80 local people and support 15 community and environmental projects like school libraries, an organic farm, reforestation project, afterschool programming and a school working with children with disabilities. Unearth the World has sent dozens of individuals as well as student and professional groups to La Mariposa over the past few years. 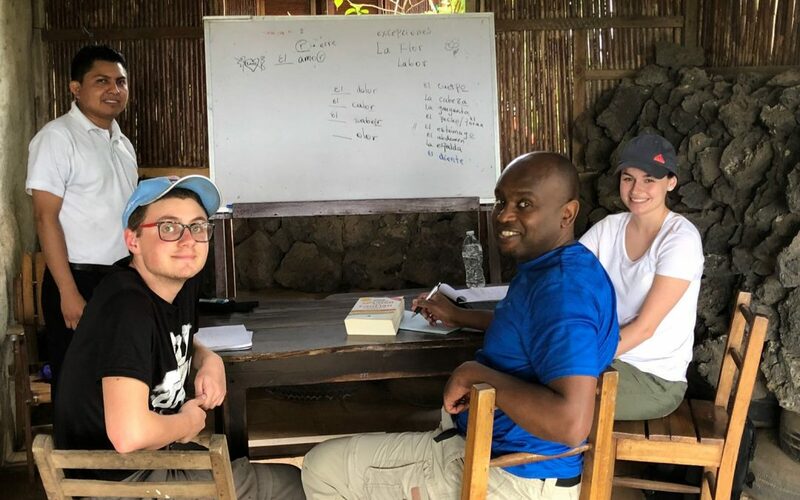 Our visitors have learned Spanish from La Mariposa’s skilled teachers and volunteered at the community projects. Trip participants always return inspired and transformed by the amazing experience they have while at La Mariposa. 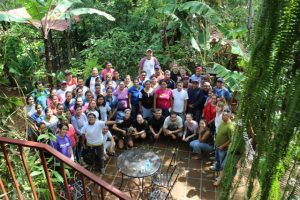 During this challenging time in Nicaragua (more details here), La Mariposa has decided to close for the month of June 2018. 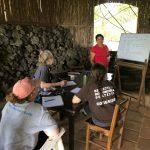 While Unearth the World is unable to send volunteers at this time, we would like to encourage you to take Skype Spanish classes with La Mariposa teachers. This will not only improve your language skills, but also help La Mariposa continue to retain and pay their employees. More details below but feel free to reach out to the founder of Unearth the World at kathryn@unearththeworld.com, if you have any additional questions.